Bu araştırma çalışmasının amacı, iki orta gelirli ülkenin(Malezya-üst orta gelirli ve Bangladeş-alt orta gelirli) sağlık ve diş bakımı ile ilgili hizmetlere genel bir bakış sunmaktır. Malezya, Güneydoğu Asya bölgesinde üç bölge ve on üç eyaletten oluşan bir ülkedir, Başbakan'ın hükümeti anayasal bir hükümdarla birlikte yönettiği parlamenter demokrasiyi uygulamaktadır. Oysa Bangladeş, Bengal Körfezi'nin yer aldığı Güney Asya bölgesinde bulunur ve hem Cumhurbaşkanı hem de Başbakan'ı üniter meclise liderlik ettiği bir cumhuriyet ile yönetilmektedir. Her iki ülkenin de resmi dinleri İslam'dır ve çok kültürlü toplumlarda tüm inançların özgür bir şekilde yaşandığı uyumlu ve laik bir sisteme sahiptirler. Bu makale, hesap verebilirliği teşvik etmek için halk üzerinde ve politika yapıcıları üzerinde büyük etkisi olan sağlık sisteminin karşılaştırılmasını hedeflemiştir. Araştırma makalesinin ilk kısmı, her iki ülkenin sosyo-demografik profiline odaklanmış olup burada ülkeler arasında sağlık hizmetleri sistemlerinin örgütlenmesi ve yönetilmesi irdelenirken, ikinci kısımda sağlık hizmetlerinin evrensel kapsamı ile ilgili mali desteği, sağlık insan gücünü ve dağıtımını değerlendirecek ve karşılaştıracaktır. Son kısımda da tüm bu konuların topluca bir karşılaştırması yapılacaktır. The purpose of this research paper is to present an overview of medical and dental care in two middle income countries: Malaysia (upper middle-income) and Bangladesh (lower middle-income). Malaysia is one country located in the South-East Asian region, consist of three territories and thirteen states which practices parliamentary democracy where the Prime Minister leads the government along with a constitutional monarch. Whereas, Bangladesh is sited at South Asian region situated by the scintillating Bay of Bengal and have both the President and Prime Minister to lead its unitary parliamentary republic. Both country has Islam as their official religion, and it is predominantly a secular country where the multicultural society lives harmoniously and free to practice their belief. This paper allow comparisons of health system which employ major influence on the public and on policy makers to promote accountability. The first part of the research paper will focus on the socio-demographic profile of both countries; this including organisation and governance of health care systems across countries while the second part will appraise and compare financial support, health manpower and delivery concerning universal coverage of health services. Finally, summary of abovementioned discussed issues. 1. Ministry of Tourism. Malaysia Truly Asia. Putrajaya: Ministry of Tourism 2013. 2. Department of Survey and Mapping Malaysia. Malaysia Report Map. In: M, ed: The Department of Survey and Mapping Malaysia, 2013:A coloured political (administrative) map that covers Peninsular Malaysia, Sabah and Sarawak. 3. The Commonwealth. Bangladesh : Constitution and politics. London: Commonwealth Secretariat, 2017. 4. CIA. The World Factbook: South Asia- Bangladesh. Washington, D.C: Central Intelligence Agency, 2018. 5. Health Bulletin. Bangladesh: Country profi le with health indicators. Dhaka, Bangladesh: Management Information System (MIS), Directorate General of Health Services DGHS), 2017:18-24. 6. The World Bank. Bangladesh: Data. World Bank, 2018. 7. Wee RY. Which Country Is The World’s Most Densely Populated? : World Atlas, 2018. 8. Statistics Times. List of Countries by Population Density. 2018. 9. UNICEF. Bangladesh humanitarian situation report no. 38 (Rohingya infl ux). Bangladesh: UNICEF, 2018. 10. Department of Statistics Malaysia. Report of the Population Projections of Malaysia 2010-2040. Putrajaya: Department of Statistics, 2012. 11. NSW Government. Birthplace - Bangladesh Parramatta NSW: New South Wales Government, 2016. 12. Calache H, Hopcraft M. Evaluation of a pilot bridging program to enable Australian dental therapists to treat adult patients. Journal of Dental Education 2011:75(9):1208. 13. Abi Nahed J. Legislative review of Oral Health in Canada: In Particular Long-Term Care Facilities. Ottawa: Health Canada, Offi ce of the Chief Dental Offi cer, 2006. 14. Arnett M, Forde R. Increasing student diversity and cultural competence as part of Loma Linda University School of Dentistry’s Service Mission. Journal of Education 2012:76(721-727). 15. Department of Statistics Malaysia. Population and Housing Census Malaysia. Putrajaya: Department of Statistics, 2010. 16. WHO. World health report 2013: Research for universal health coverage. Geneva: World Health Organization, 2013. 17. Malaysian Dental Council. Malaysian Dental Council Bulletin. Putrajaya: MDC, 2013. 18. WHO. Malaysia Health System Review: Asia Pacifi c Observatory on Health Systems and Policies, World Health Organization, 2013. 19. Ministry of Health Malaysia. Country Health Plan-10th Malaysia Plan 2011-2015. Putrajaya: Ministry of Health Malaysia, 2010. 20. Aljunid SM. Health Policy in Malaysia: Three Central Policy Issues. Faculty of Medicine, UKM, 2014. 21. Petersen PE. World Health Organization global policy for improvement of oral health--World Health Assembly 2007. Int Dent J 2008:58(3):115-21. 22. WHO. Ottawa Charter for Health Promotion. Ottawa, Canada: World Health Organization, 1986. 23. Center for Research and Information. Health Services for All: the Bangladesh Story. Dhaka, Bangladesh: Center for Research and Information, 2014. 24. Ahmed SM, Alam BB, Anwar I, Begum T, Huque R, Khan JAM, Nababan H, Osman FA. Bangladesh health system review. Manila: World Health Organization, Regional Offi ce for the Western Pacifi c, 2015. 25. Health Bulletin. Healthcare network in Bangladesh. Dhaka, Bangladesh: Management Information System (MIS), Directorate General of Health Services (DGHS), 2017:25-32. 26. Islam A, Biswas T. Health system in Bangladesh: Challenges and opportunities. American Journal of Health Research 2014:2:366-74. 27. Ahmed SM, Evans TG, Standing H, Mahmud S. Harnessing pluralism for better health in Bangladesh. Lancet 2013:382:1746-55. 28. Oral Health Division Malaysia. Oral Health Care in Malaysia. Putrajaya: OHD, Ministry of Health Malaysia, 2005. 29. Institute for Health System Research. Malaysia Healthcare Demand Analysis: Inequalities in Healthcare Demand & Simulation of Trends and Impact of Potential Changes in Healthcare Spending. Malaysia: Health Policy Research Associates (HPRA) and Institute for Health Systems Research (IHSR), Ministry of Health Malaysia, 2013. 30. Ministry of Health Malaysia. Malaysia Health Care Demand Analysis: Inequalities in Healthcare Demand & Simulation of Trends and Impact of Potential Changes in Healthcare Spending: Health Policy Research Associates (HPRA) and Institute for Health Systems Research (IHSR), 2013. 31. Ministry of Health Malaysia. Health Facts 2013. Putrajaya: Health Informatics Centre, Planning and Development Division, MOH Malaysia, 2014. 32. USAID. Tracking Urban Health Expenditures – Preliminary Results from Secondary Analysis of Bangladesh National Health Account: Bangladesh Ministry of Health Health Finance and Governance, 2015. 33. Bangladesh Bureau of Statistics. Gross Domestic Product (GDP). Dhaka, Bangladesh: Bangladesh Bureau of Statistics, 2018. 34. The World Bank. Helping Bangladesh Reach Middle Income Country Status. World Bank, 2016. 35. United Nations. Leaving the LDCs category: Booming Bangladesh prepares to graduate. Main Offi ce: Bangkok,Thailand: Department of Economic and Social Affairs,, 2018. 36. Polan AMA, Saito T. A Short Review of Bangladesh Dentistry. The Dental Journal of Health Sciences University of Hokkaido 2011:30:23-8. 37. WHO Bangladesh. Health System Financing. World Health Organization Bangladesh, 2018. 38. Che Musa MF. The Dental Workforce in Malaysia: Drivers for Change and Potential Implications. Unit of Population and Patient Health: King’s College London Dental Institute, 2017. 39. Chai PY, Whynes DK, Sach TH. Equity in health care fi nancing: the case of Malaysia. International Journal for Equity in Health 2008:7:1-14. 40. Kananatu K. Healthcare fi nancing in Malaysia. Asia Pacifi c Journal of Public Health 2002:14:23-8. 41. MacEntee MI, Kazanjian A, Kozak JF, Hornby K, Thorne S, KettratadPruksapong M. A scoping review and research synthesis on financing and regulating oral care in long-term care facilities. Gerodontology 2012:29(2):e41-52. 42. Ministry of Health Malaysia. Health Facts 2012. Putrajaya: Health Informatics Centre, Planning and Development Division, MOH Malaysia, 2013. 43. Ministry of Health Malaysia. Health Facts 2010. Putrajaya: Health Informatics Centre, Planning and Development Division, MOH Malaysia, 2011. 44. Malaysia MoH. Health Facts 2015. Putrajaya: Health Informatics Centre, Planning and Development Division, MOH Malaysia, 2016. 45. The Commissioner of Law Revision Malaysia. Dental Act 1971: online version of updated text of reprint. Putrajaya: Malaysian Law Journal SDN BHD, 2014. 46. Ministry of Health and Family Welfare. Human Resources Development (HRD) Data Sheet-2011 of MOHFW. Dhaka, Bangladesh: Human Resources Development (HRD) Unit, 2011. 47. Malaysian Dental Association. Malaysian Dental Association- President Message. Kuala Lumpur: MDA, 2014. 48. Malaysian Dental Council. Malaysian Dental Council Bulletin. Putrajaya: MDC, 2014. ISNAD Che Musa, Muhd Firdaus , Hassan, Yang Rafidah , Rahman, Farina , Jeenia, Fatiha Tasmin . "Provision of Health and Dental Care in Two Middle Income Asian Countries". 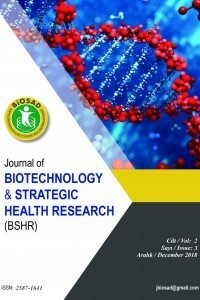 JOURNAL OF BIOTECHNOLOGY AND STRATEGIC HEALTH RESEARCH 2 / 3 (December 2018): 182-188.